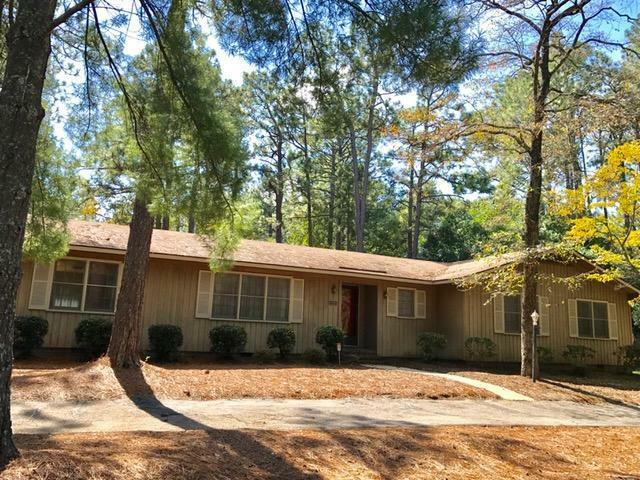 Desirable neighborhood of Highland Trails which is a close commute to downtown Southern Pines and to the gates leading to Fort Bragg. This 3 bedroom, 2 bath home needs updates but features large rooms with double closets in all bedrooms & wood floors throughout the home. Formal Living room and a large den connecting to the dining area and kitchen. Master bedroom is 17 x 20 with 2 closets and bath. It's a Must See !